Case study: Peer-to-Peer Recruiting Inc. In general, no action is required on your part! Most environments recognize the new certificate automatically. They are affected only if your system environment specifically checks certificates. This can be the case if you use your own certificate store (keystore) that does not allow automatic update, or if your system checks the so-called fingerprint of the certificate. If in doubt please contact the technical manager of your SMS application or our support. The two recruiters Vincent Breuer and Roland Hartmann were very successful as entrepreneur for several times in the past. Roland Hartmann is a typical Early Adopter. He knows about technological trends. The visionary Vincent Breuer is an active Socializer who has a good feeling for the impact of technological trends in society. Recruiters who do their job with the same enthusiasm as himself are hard to find. Relations to employers are and stay his responsibility. Good workers know good workers: every now and then a worker could be rewarded with a small bonus for a lead to a placement. Source: Gerd Altmann [CC0 1.0] via pixabay. staff - staff recruits staff. Acquisition of new customers, trust building, contracts, customer relations, and everything related to the employer remains Vincent Breuer domain. The search for candidates, however, could be delegated to the candidates and their friends themselves. Under the guidance of Roland Hartmann viral strategies are designed to let grow the pool of potential candidates continuously at a high quality level. Public relations is taken very seriously, so that the company called Peer-to-Peer Recruitment Inc. gets well known and has a friendly image. At last but not least, a simple and attractive reward system has to be established: a lead to a successful placement is rewarded in cash! 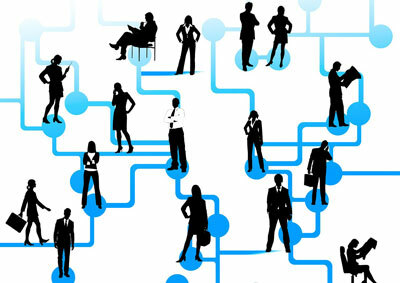 Peer-to-Peer Recruiting Inc. handles the growing community very carefully and lovingly, communicating with the network of potential candidates and their friends easily at all possible channels. The specially hired Simone Kriensler maintains the fast growing community carefully via Facebook, Twitter, Whatsapp, SMS, email, etc. If someone calls the Peer-to-Peer Recruiting Inc. candidate hotline number, he talks to Simone Kriensler the loving and warm contact person, who helps to solve all problems. The legendary Peer-to-peer Afterwork Ap�ros are so successful mostly because of Simone Kriensler. All candidates know, Simone is nice to everyone. But to me she is even a little nicer. 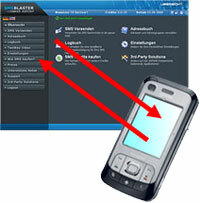 Therefore, the SMSBLASTER.COM web edition is used in combination with a Global Two-Way number (e.g. +41790000000). Simone Kriensler sends all text messages with this originator. Candidates send text messages exclusively to the Global Two-Way Nummer +41790000000. All replies of are received in the Two-Way Inbox of the SMSBLASTER.COM web edition. All incoming text messages additionally are forwarded by email. For sending an SMS, so-called ASPSMS credits are needed,which are purchased in advance. The ASPSMS credits donot expire. Payment by bank transfer, various creditcards such as Eurocard/Mastercard, Visa, AmericanExpress or Diners Club, PayPal or Swiss Postcard are possible.